We had a slow start to our contest , but ended with a bang! The class winners for the most Box Tops collected for the upper graders is Mrs. Rawlins’ 5th Grade class and for the lower graders is Mrs. Morikawa’s 2nd Grade class. Congratulations! They win a popsicle party. 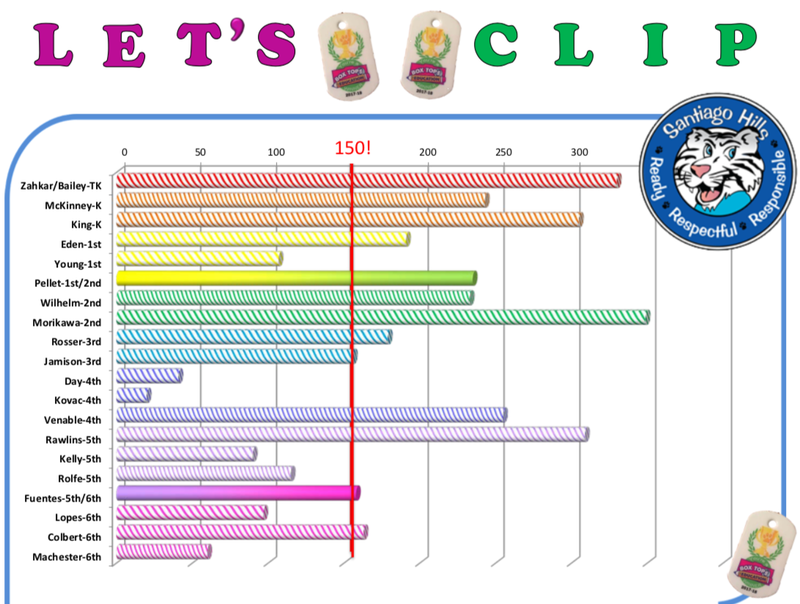 We also have Brag Tags for every class that collected 150 box tops or more. Here are the final numbers! Thank you all for participating in this year’s Box Top contests. Keep clipping those Box Tops starting now and all summer long. Our next collection will be sometimes at the beginning of next school year. Remember, all Box Tops collected turns in to money for our library! Thank you for your support! Next story 2018-19 PTA Needs a Treasurer! Previous story Irvine Junior Games – Registration Extended to Feb 28!